Do it in the Dark is a month long competition between the students who live in Parkside, Residence, and RLC to see who can save the most energy and water in the month of October. The savings are calculated as a percentage of each team’s usage to keep the competition fair. Each week, the team that saves the most energy and water over a seven day period will win a pizza party. At the end of the month, the team that reduces electric and water use the most will get a night in the Univeristy Student Union’s game area. The final week 4 results are in. 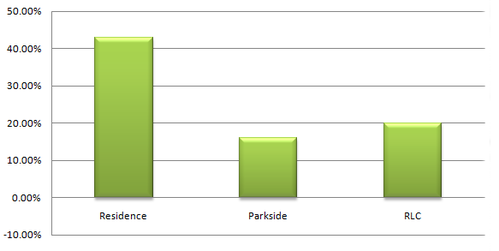 Parkside saved 1.11% while Residence saved14.76%. Our winner of the grand prize is RLC with their 22.75% savings of water and energy. The grand prize is a night in the USU games area. On Monday, November 1st from 7-10pm, the pool tables, bowling alley, and ping pong tables are reserved for them. Free pizza will also be provided. Congratulations to all teams for showing a decrease in energy and water use during this competition. The week 3 results are the best yet. Every team not only decreased their usage from the previous week, but had their best weeks yet. Parkside and Residence saved 2.48% and 16.65% respectively, while RLC pulled barely ahead once again with an 18.08% savings. During week 2, every team decreased their power and water usage. 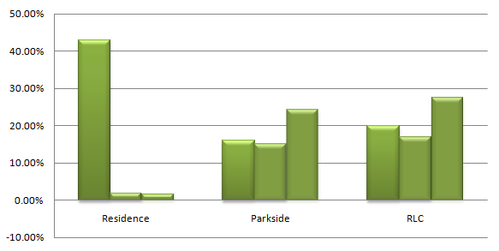 Parkside used just .31% more than their baseline consumption. Residence saved 3.04%, however RLC pulled through with a 3.1% savings. RLC will be our winner of the pizza party for the second week in a row. The week 1 results for the energy competition are in. The winner was RLC with a savings of 1.67% of their baseline energy consumption. 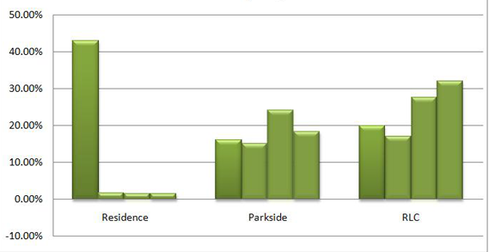 The Residence team used1.17% more than their baseline energy consumption. 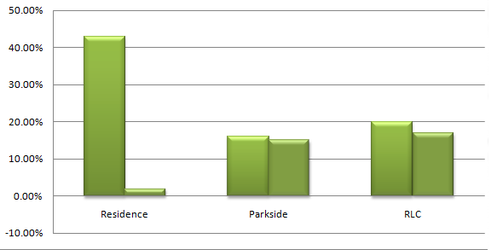 Parkside also used 4.37%more than their baseline. RLC will be getting free pizza for their accomplishment onFriday, October 8th from 2-3pm in the multipurpose room.